So you've probably seen Robo-Santa, I've been talking a lot about him and his 12 BOTS this month. (Buy it! Buy it!) You may also know Santasaurus, the candy-cane-striped Triceratops from The Dinosaurs' Night Before Christmas. (Buy it too!) So far, I've done more books with off-beat Santas than actual Santas. Off-beat Santas are all the rage in picture books right now. There are Evil Santas, Pirate Santas, a whole bunch of Dinosaur Santas (Tyrannoclaus, Santasaurus etc.) Alternative Santas, they are here to stay. This week, I thought we'd spend some time with some Alternative Santas who will never get a picture book deal. Jolly Old St. Dental Claus. He comes down the chimney and performs oral surgery on all good boys and girls. You better watch out. Creepy- reminds me of that Nazi Dr. in Marathon Man, except with a beard and a red suit. Ha ha. 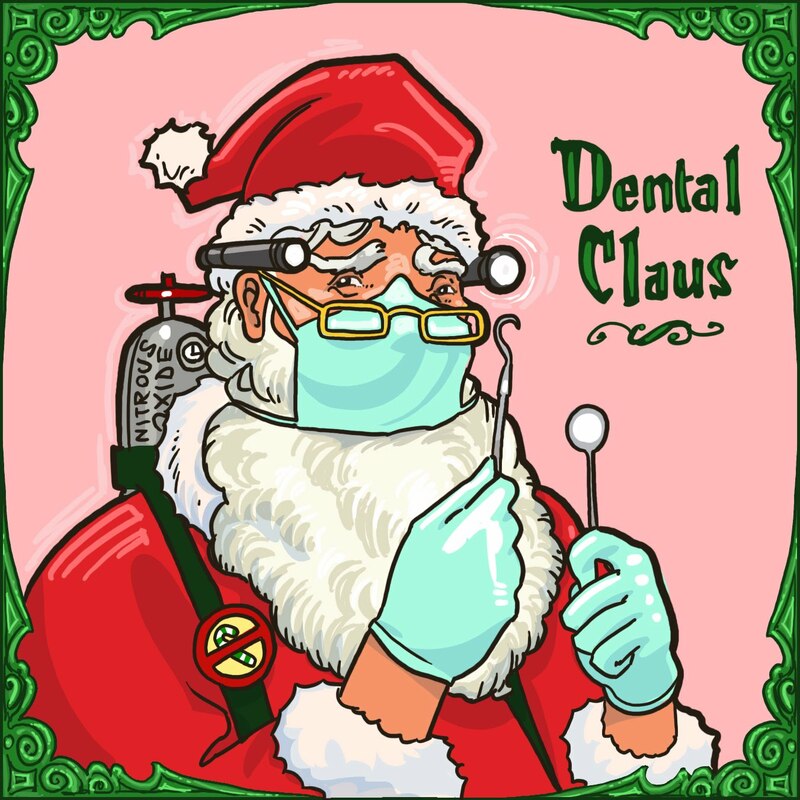 Actually, considering how expensive dental work is, I'd actually trade a visit from regular Santa Claus for a visit from Dental Claus. I know a lot of kids from my high school that would have really loved that nitrous oxide backpack. I agree Nathan! Where was Dental Claus last December when I had my wisdom teeth out? Those blue gloves are disturbing... what is next? TSA Santa? I love the failed Santas! !